In a conversation with Ajita Shashidhar, the former MD of Britannia Industries, talks about the challenges of running a food start-up. 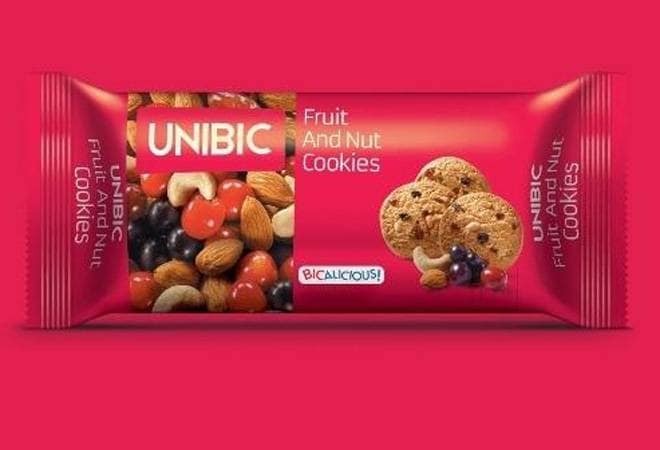 Life as an entrepreneur for Nikhil Sen, Managing Director, Unibic Biscuits, hasn't been particularly easy. After a heady start way back in 2005 (when his Unibic cookies were available in close to 60,000 outlets in Southern India and he also manufactured for Cafe Coffee Day and Jet Airways), his business came to a standstill in 2010 when he was starved of capital. "From 2010 to 2012 we were dead ducks. If People Capital hadn't invested, we would have been history," says Sen. In a conversation with Ajita Shashidhar, the former MD of Britannia Industries, talks about the challenges of running a food start-up. Q: Food is one sector where a large number of start-ups have seen failure. Is it saturated, what really is the challenge there? The future of food is great. We are at the bottom end of the chain. Take for example, biscuits, biscuits in India are still very dry, have to be accompanied with tea or coffee, because they are basic cookies. Abroad, they are more gourmet, more injected, more unique in terms of taste. So, there is a tremendous opportunity in India for a category like biscuits itself. You are talking about a few kgs of per capita consumption when the rest of Asia is at 4 kgs of per capita consumption, you can't help but grow. However, the biggest constraint for most entrepreneurs is money, the cost of failure is very high. In my case, my partner ran out of funds. We were choked for capital for two years. In 2012, luckily two funds showed interest in investing in us, ICICI Ventures and People Capital. Q: Is it just capital that is an issue? Most food start-ups have managed to raise private equity capital. The ability to scale up also depends on building the right people asset. A company sitting in Bangalore will find it difficult to replicate the same thing in Delhi in terms of efficiency of systems and distribution which is the backbone of success. As you scale up you will find new challenges. Today, if I have to expand in the North, the dealer or distributor is greedier for his pound of flesh, as he knows that Unibic is at a certain level. There is a challenge in distribution and advertising. In South for instance, you can break up the market and do targeted advertising, but if I have to do that in the Hindi speaking belt it will be wasteful. As you keep expanding, the efficiency of the rupee you spend behind advertising or distribution will have a larger risk than it did when you operated in a smaller market. Q: You mean to say that the biggest challenge for a food company comes when it is ready to scale up? Most definitely. For a food company to go from regional to national is definitely a challenge. Even the likes of Britannia, despite being close to 100 years old don't have the same traction in North and West as they have in South and East. When you split the balance sheet of a FMCG company, you will see that the home territory is usually the territory where they are large. Q:There are so many food start-ups today, where do you see them three years from now? Most food start-ups would be bought out by larger conglomerates. For certain period of time they will flourish, then you will see mushrooming of newer players and then you will see the consolidation. The big boys will suddenly wake up and realise that there is value in what these guys have built and buy them out. "GST has had a temporary impact on our business"